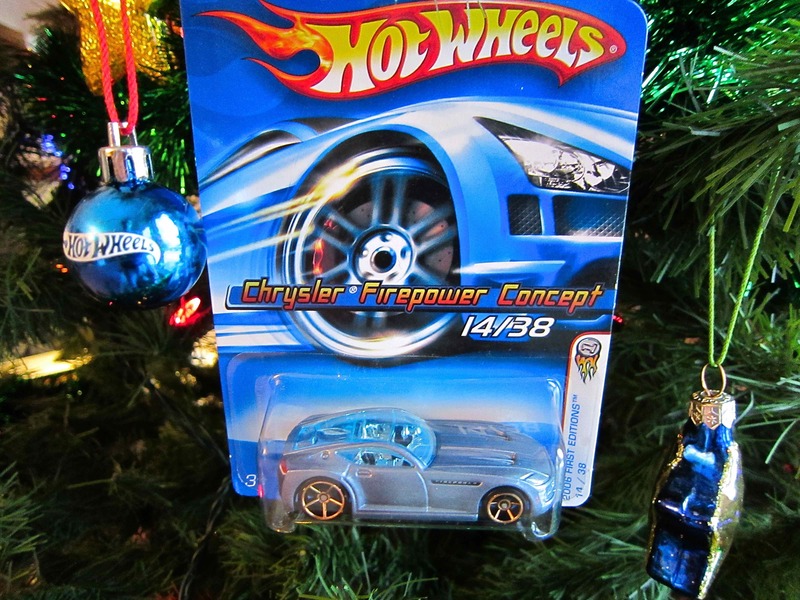 This may be the influence of “Toy Story” talking but I was imagining what it would be like to be a Hot Wheels car hanging from the Christmas Tree. 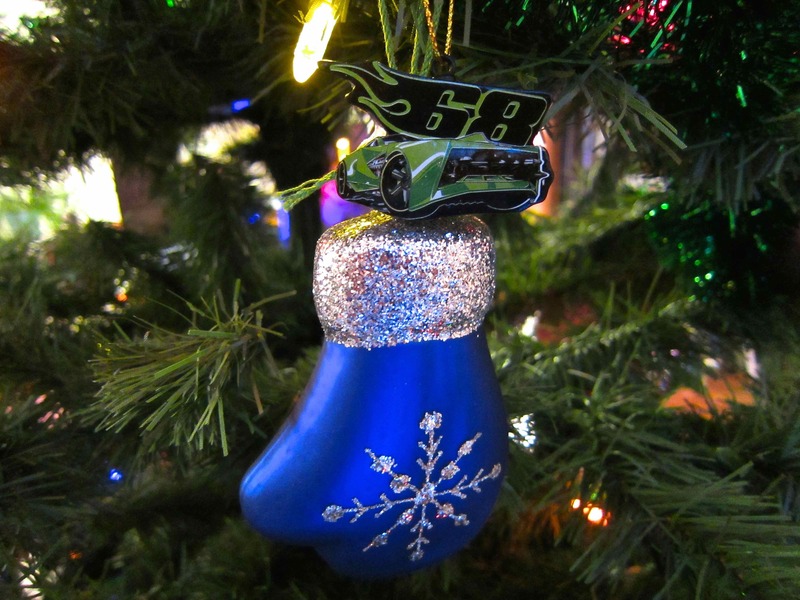 You’re safe and secure in your blister pack watching the build up of holiday festivities but deep down you can’t wait for Christmas Day to come. 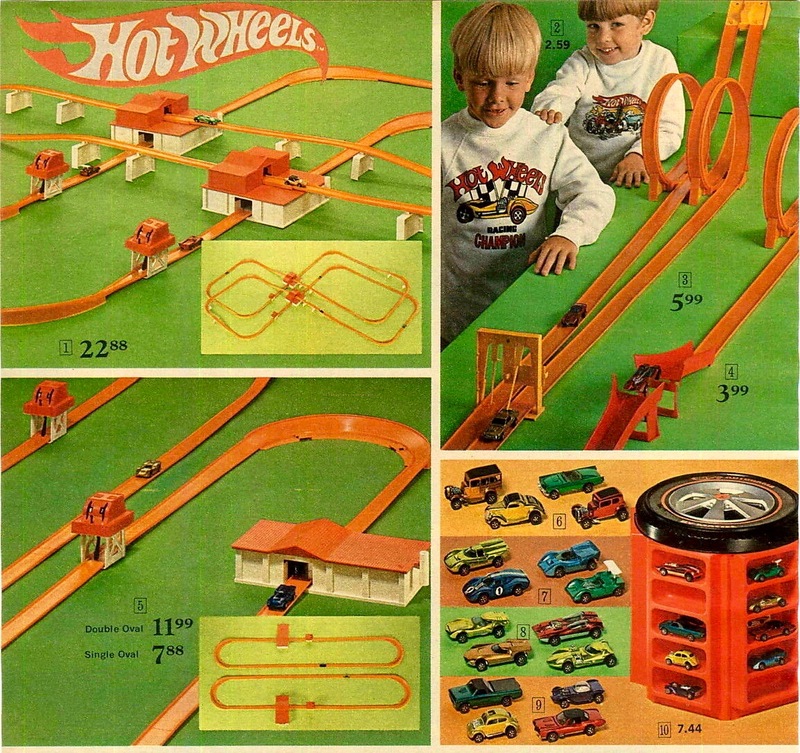 On that day you envision running through a world of Hot Wheels tracks; going for all your worth. …waiting for Christmas to come. So there you have it. 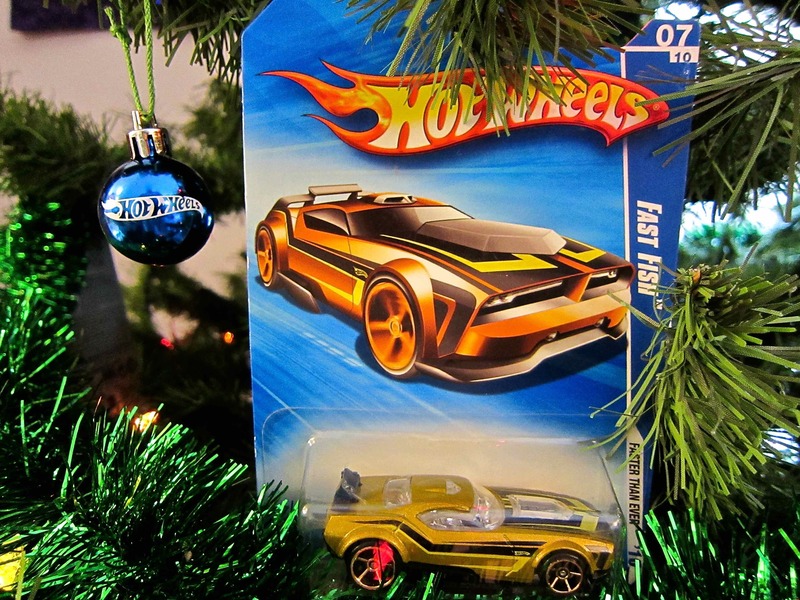 Hot Wheels and Christmas. 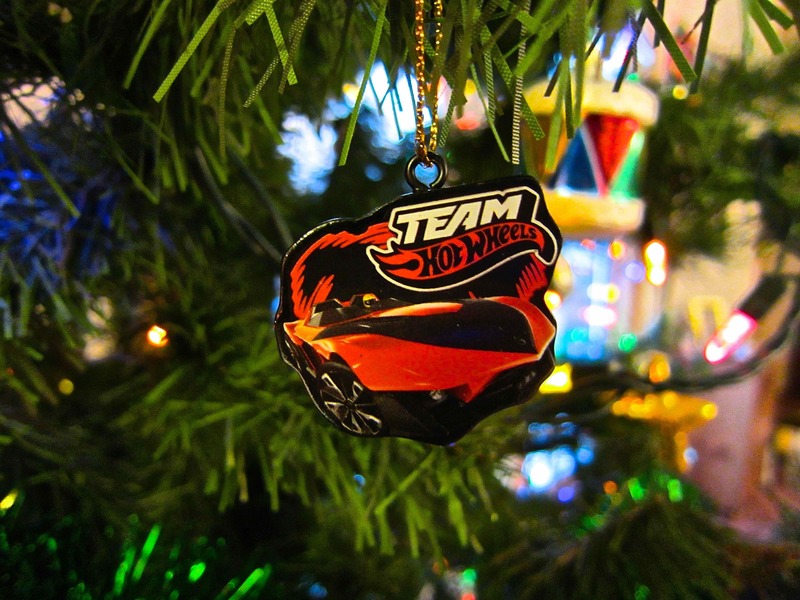 A time of anticipation and fun; especially if you’re a Hot Wheels car with big dreams. 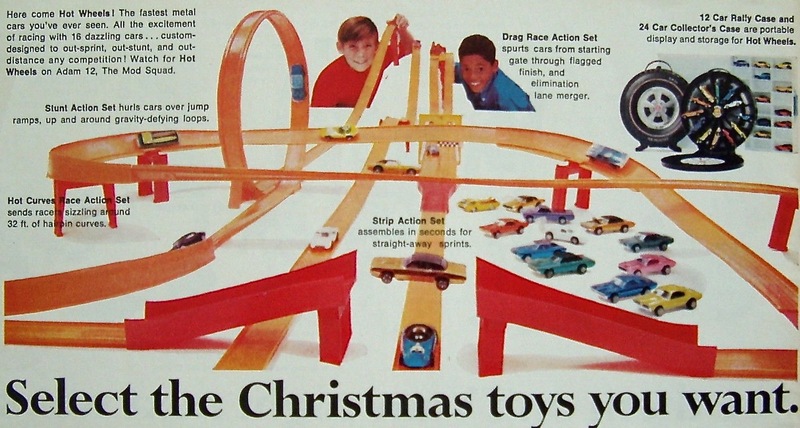 1969 JC Penny Christmas Catalogue. Courtesy eBay. 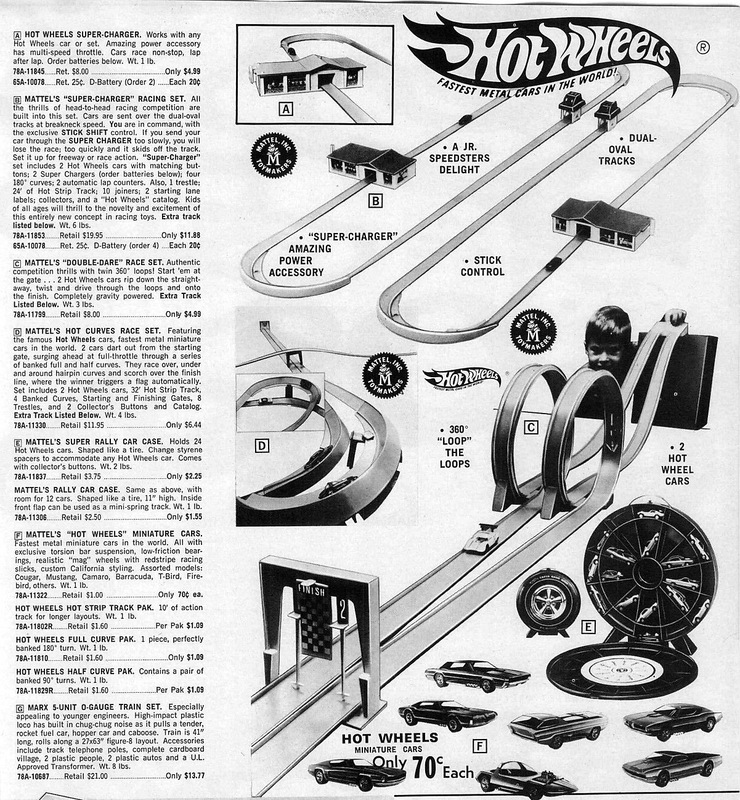 Hot Wheels Christmas 1969 catalogue page. 1969 Christmas Catalogue for Montgomery Ward. 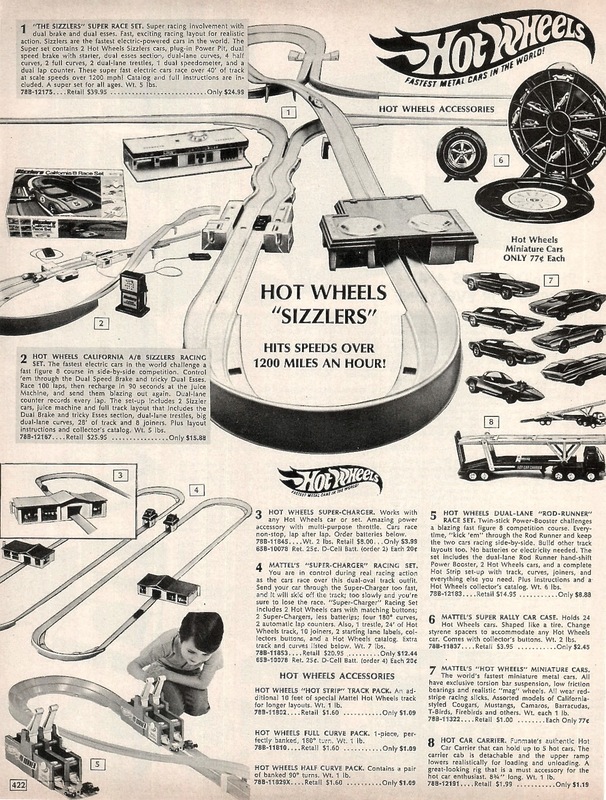 Hot Wheels Christmas 1970 Catalogue page. 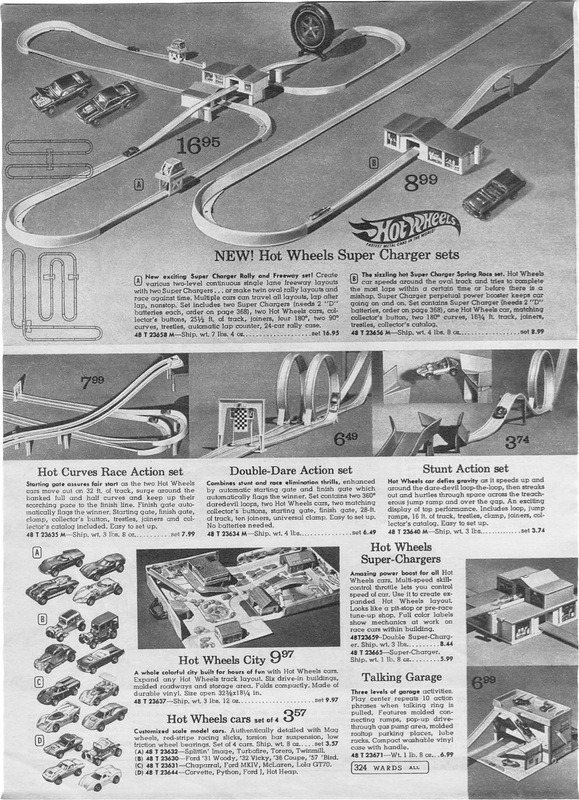 Hallmark’s 30th anniversary of Hot Wheels decoration featuring a dare-devil loop with a Twin Mill car. 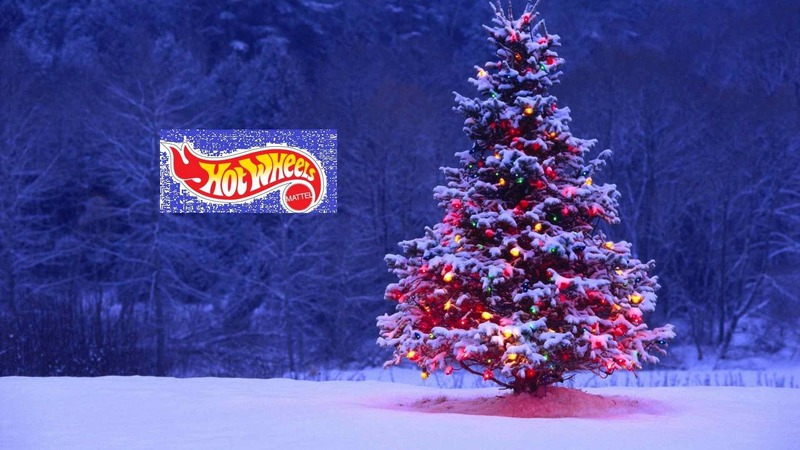 1968 – the beginning of Hot Wheels and Christmas. 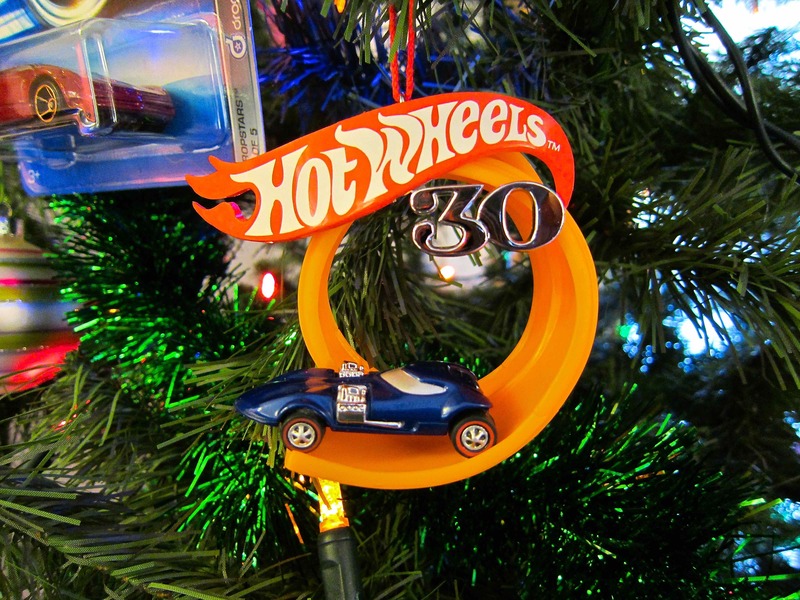 Team Hot Wheels and Yur-So-Fast decoration.